Spring is upon us and this year, we’ve gotten a head start on the Pink Drinking season. deVine has receive many of our special orders of Rosé already. The rage in Europe, it is catching on in North America as well. Edmonton, being a progressive city has been on the bandwagon for a couple of years already (and men are buying as much as the women!). While France is a prolific producer, diversity is apparent as we’ve got offerings from Australia, Canada, Argentina, Chile, Spain and Portugal. Its not only the pink color that’s attractive, but the excellent cherry, strawberry fruit and that laser beam of acidity that makes it a fabulous summer sipper. 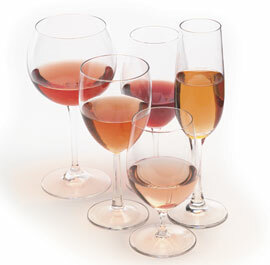 More and more, consumers are looking for something unusual to liven up the wine experience. Thus, the trend is a noticeable demand on indigenous grapes, varietals that are grown only in certain specific wine regions. I’ll talk about two whites and two red grapes, all deserving your attention. The Cabernet Sauvignons, Shirazes, Merlots, Pinot Noirs and Tempranillos still hold their pride of place, but they are getting challenges. For example, the Torrontes hails only from Argentina – this fragrant, perfumy varietal reminds of Gewurztraminer, quite exotic and floral with rose water, lychee nuts and honey aromatically, but is tart and quite dry on the palate. Smells sweet but tastes dry, quite bipolar that way, but has been the rage at deVine for a year now. Try one the next time you serve a salad, fish or chicken dish that has some fresh fruit on the side as accompaniment. Sparkling Wines are a great way to start off your festive evening, great as a reception or aperitif drink and to pair with appetizers. 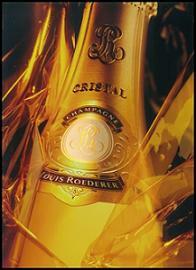 If you want the ultimate and money is no object, then the 2002 Louis Roederer ‘Cristal’ Brut – $349.99 will certainly impress any guest. A less expensive Growers Champagne like the NV Bruno Gobillard Brut – $54.99 will do very nicely as well. If you’re on a budget then I recommend the bargain that is the NV Seppelt Great Western Brut – $11.99 from Australia – lots of citrus notes and a crisp dry finish. The Italian Prosecco from Veneto has been a popular favourite at the store for more than a year now – I like the NV Val d’Oca Prosecco – $22.99, a lemony and dry sparkler with nice citrus notes and refined texture and lasting bubbles. At the mid-price level from Alsace, France – try the NV Rolet Cremant du Jura Brut Rosé – $24.99, which represents stunning quality from the Jura (famous for their yellow wine) made from the indigenous Poulsard grape.